The winner of Star Plus's Most Entertaining Dance Reality show 'Dance Plus 3' has been announced. 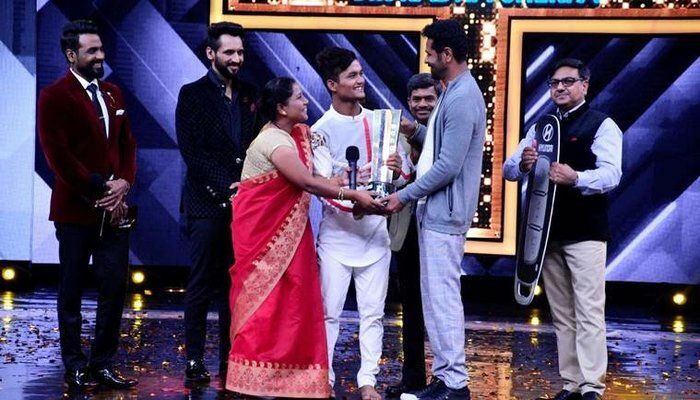 Radha Sherpa has become the winner of Dance Plus Plus for the third consecutive season of Master Gang, Bir of Master Punit. Apart from this, Amardeep Singh plays first runner-up, Aryan Patra second and Tarun-Shivani were declared the third runner-up. After winning the finale trophy, Bir thanked his mentor and the audience. With the trophy in hand, he released a picture with his family on Instagram. Although the show is ongoing, the news of Bir winning the coveted trophy is out. Amardeep Singh Natt was close second followed by Aryan Patra and Tarun-Shivani. In addition to reward, Bir got 25 lakh rupees, one car, Oppo phone besides 1 million amogen vouchers. The shooting of the film was done on Saturday night, although this episode on TV will be telecasted on Sunday (Sunday). Tom Holland's Interview with Rajeev Masand "Said About Tiger Shroff"
After winning the show, Beer Radha Sherpa said, "It was a great experience to be part of this show. Rema Sir and Star Plus did not give me the platform only, they gave me the chance to live a real life which I did not know about." Bir made all the guests coming to the show from his dance as his fan.